As a part of the operations team, I perform various tasks such as preparing contract renewals for the landscaping and snow seasons, setting up, contracting, and scheduling work orders, and assisting account managers with a variety of tasks. Along with this, I create purchase orders and order materials we need here at the shop that we will need for upcoming jobs. Because of my Spanish degree, I am called upon to assist in interpreting for our Spanish-speaking workforce and I help bridge the communication gap between the English speakers and non-English speakers. I started at Turfscape in December 2016, right after my college graduation. 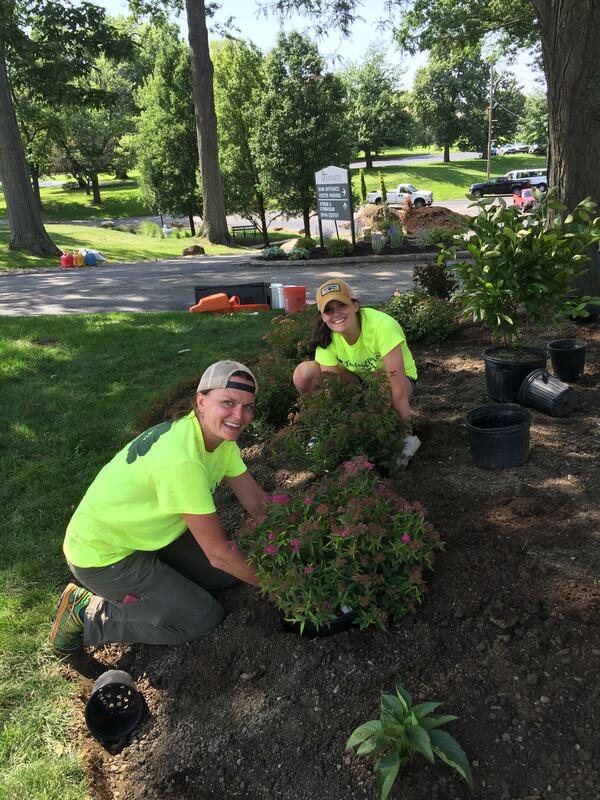 I’ve worked in the landscape industry since I began working at Turfscape in December of 2016. I’m lucky to be able to see so many sides of the business and learn about it every day. I earned my Bachelor of Science degree in Spanish Translation from Kent State University in December of 2016. I had a minor in International Business as well. I really enjoyed our Giving Back Project at Trinity High School that we performed in July 2017. It was great to have everyone together, since I don't get to spend a ton of time with the guys that work out in the field. We had a lot of fun with it, and it also made us feel good to give back to the community. I also really enjoy the opportunities I have to get out of the office to go see job sites. 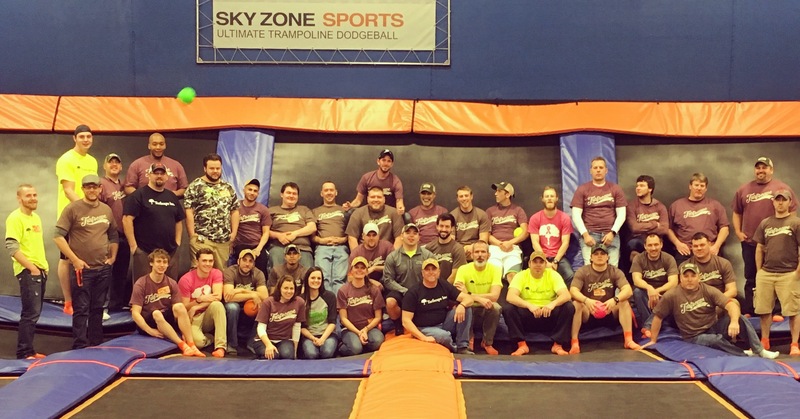 Pretty soon after I began working at Turfscape, we had an event at Sky Zone. 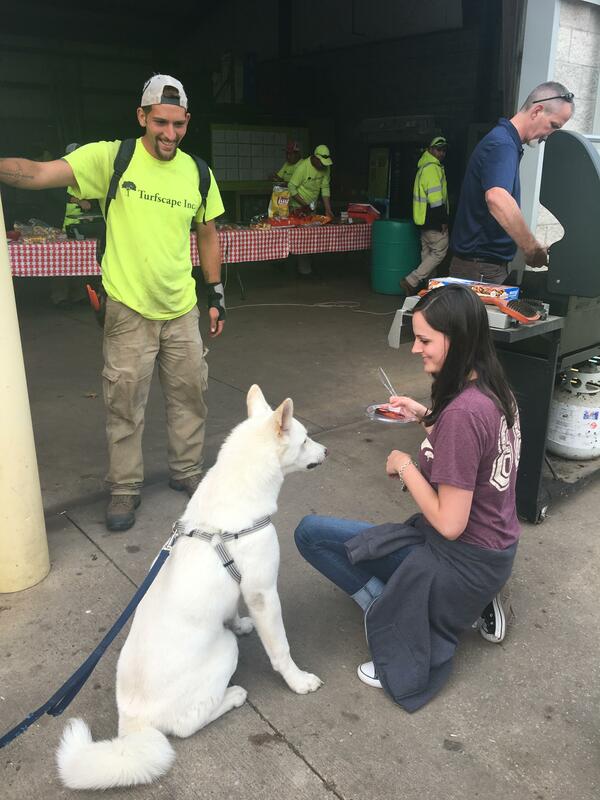 This was a great chance to put faces to names and see how much Turfscape cares about its employees. I was in marching band in high school and played the flute! I was really bad at it but a lot of my friends were in band, so it didn’t matter. We went to Disney World twice to perform! I enjoy spending time with friends and family, whether that means just hanging out at home, going to a Cavs game, or really anything else! I enjoy yoga and traveling. I love love love dogs, especially mine, so sometimes I go to shelters to visit them.